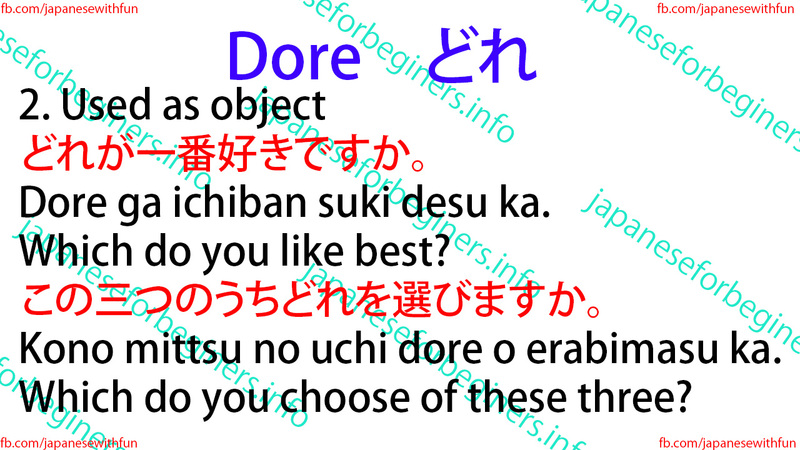 The polite form is dochira, which also means ‘’who’’ or ‘’where’’. 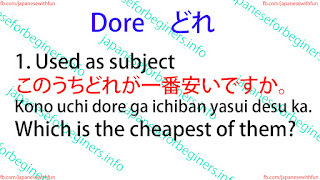 Dore becomes dono before a noun it modifies. 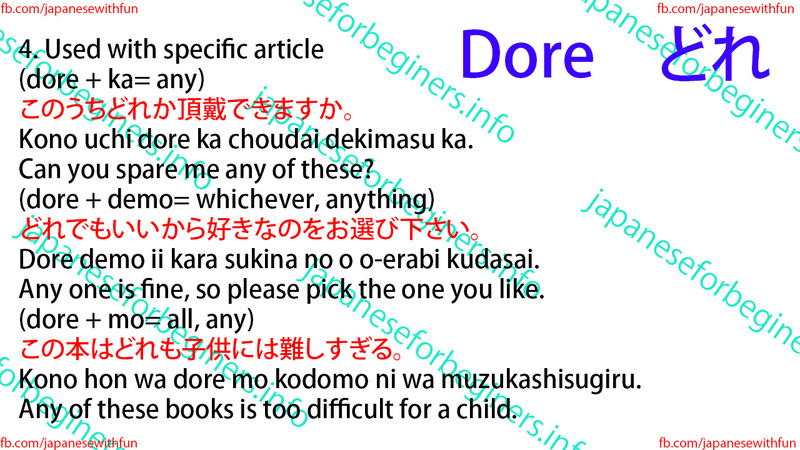 It becomes doko when expressing ‘’where’’. Kono uchi dore ga ichiban yasui desu ka. Which is the cheapest of them? 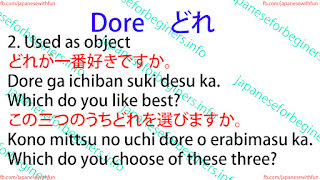 Dore ga ichiban suki desu ka. Kono mittsu no uchi dore o erabimasu ka. Which do you choose of these three? Dono hon ga omoshiroi desu ka. 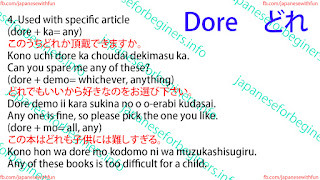 Kono uchi dore ka choudai dekimasu ka. Can you spare me any of these? 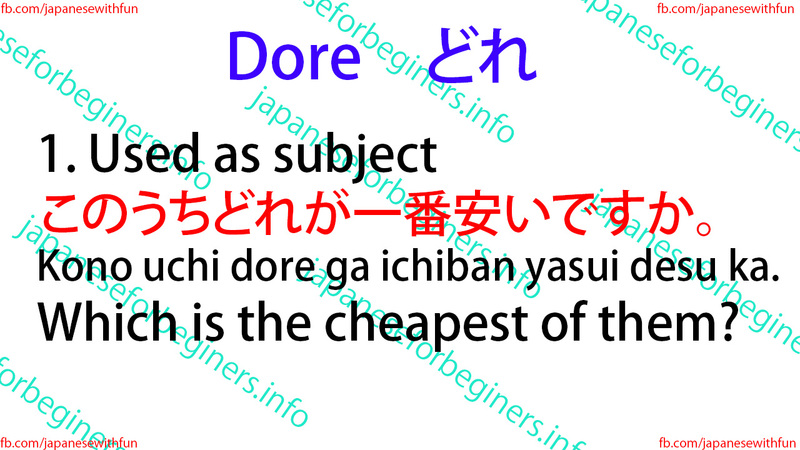 Dore demo ii kara sukina no o o-erabi kudasai. Any one is fine, so please pick the one you like. Kono hon wa dore mo kodomo ni wa muzukashisugiru. Any of these books is too difficult for a child.